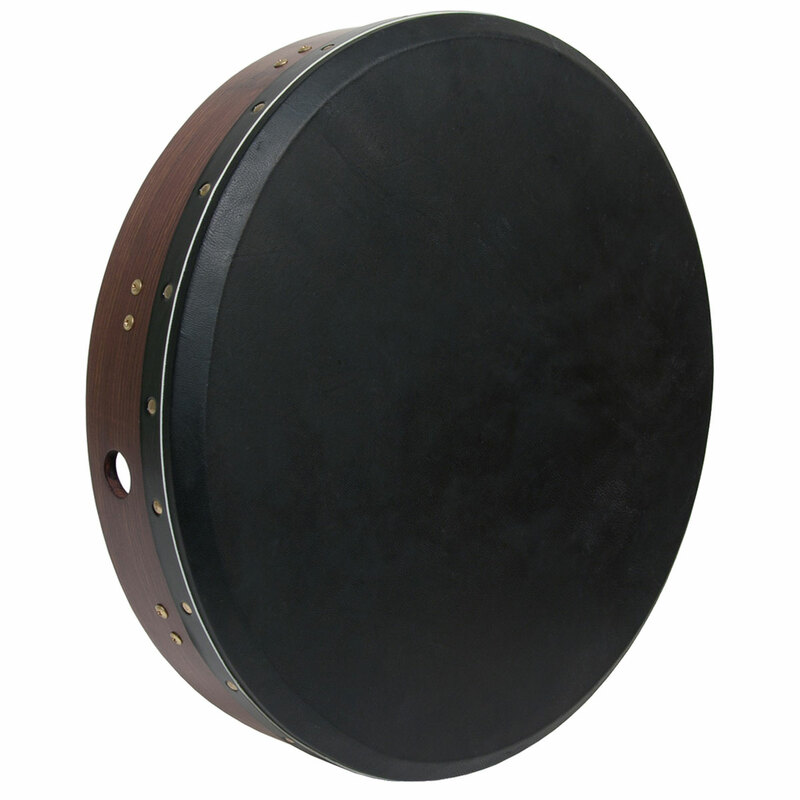 18" x 3.5" sheesham bodhrán with inside tuning and two cross bars. This solid sheesham frame has a fixed crossbar for support. The bolt tuning is hidden on the inside of the frame. You will love the sound of the black goatskin head. Easy and fun to play. The enclosed product insert will give you the basics to get started. Includes a tipper and a tuning wrench.